Michelozzo Michelozzi, also known as Michelozzo di Bartolomeo or simply Michelozzo, was born around 1396 from a French tailor. 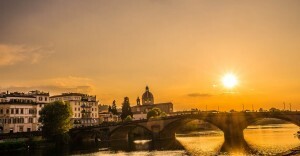 The father Bartolomeo had become a Florentine citizen back in 1376 and was married to a Florentine woman. 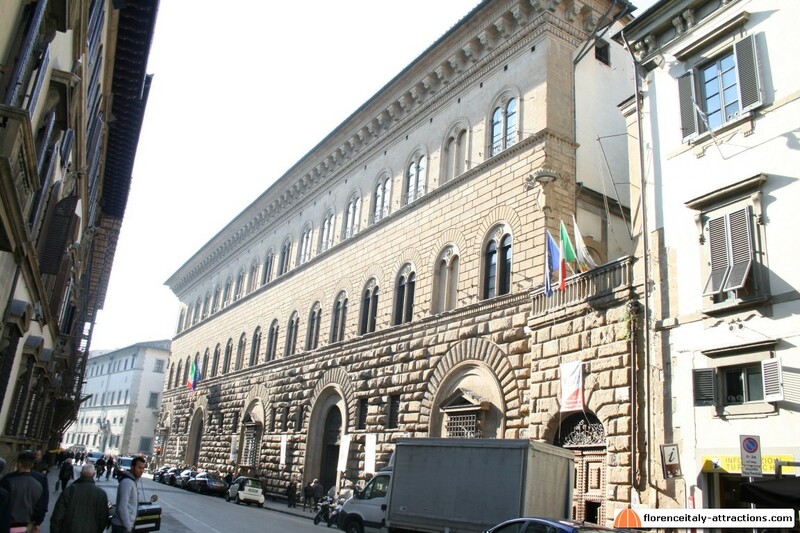 By documents revealing the amount of taxes paid by Michelozzo’s father we can assume they were a wealthy family. 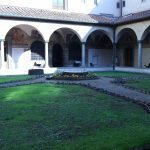 Most probably, Michelozzo learnt to read and write with his father: we don’t have news on his education, but we know that in 1410 he already worked in the Florentine mint, creating metal plates to coin Florins. Michelozzo became very good at casting bronze, and had two very importnat partnerships in his career. The first one was with Lorenzo Ghiberti, goldsmith and sculptor, the second was with Donatello, the famous sculptor. Together with Donatello, he will be commissioned the tomb of the antipope John XXIII in the Baptistery of San Giovanni. This work became the prototype of the Renaissance tomb, but was also important because Michelozzo came in contact with the Medici family, led by Giovanni di Bicci. Michelozzo was also appreciated by Cosimo the Elder, Giovanni’s son and future leader of both the family and the city of Florence. Things turned around for Michelozzo when Cosimo de Medici became the ruler of Florence. Cosimo was taught by his father to be humble (well, as humble as possible, given his position of richest man in Europe) and multiple times, Cosimo preferred Michelozzo to Filippo Brunelleschi, the top architect available in Florence. 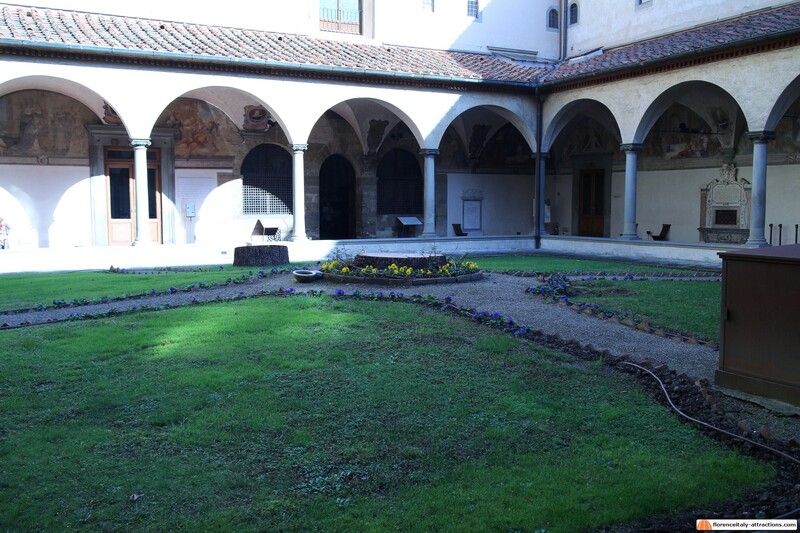 The first important work given by Cosimo to the architect was rebuilding the convent of San Marco. The work was assigned around 1436 and kept the artist busy until 1441. As described in Vasari’s Lives, Brunelleschi and Michelozzo were in competition to design Palazzo Medici. Thinking that the project by Brunelleschi was too sumptuous and worried to raise the envy of his fellow citizens, Cosimo decided to choose the more “modest” design by Michelozzo. 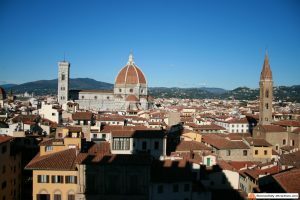 The result was a building that inspired any other Renaissance palace, including the Pitti Palace, which was probably built on the same design by Brunelleschi that had been discarded by the Medici family. 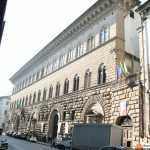 Palazzo Medici marks the end of the Middle Ages in private architecture: the bugnato (rusticated ashlar, literally: the stones projecting from the walls) now is not anymore a defensive, but a decorative element. The large doors and large windows mean that you are now welcome and the home is open to guests and to the outside in general. Michelozzo was among the most prolific artists of the early Renaissance, both as an architect and as a sculptor. He worked in many churches in Florence, including Santa Croce, San Miniato al Monte and the Basilica of SS. Annunziata; he designed the main courtyard of Palazzo Vecchio, which is named after him. Late in his life he even worked in Croatia (part of the Republic of Venice back then). He’s not regarded as one of the top artists of this incredible period, despite his works have often been inspirational for both the contemporary artists and the next generations. Michelozzo died in 1472 and his body is buried in the church of San Marco.